Although it hasn't been pretty, the Toronto Raptors are still a half game ahead of the Milwaukee Bucks for 1st place in the Eastern Conference and best record in the NBA. Moreover, the team finished with the best combined regular season records for the entire year of 2018. With the shooting slumps and the offensive woes making us a bit uncomfortable as fans, there is still a lot to be hopeful for. Moreover, this week marks the first of two meetings between the Raptors and the Spurs which, thus, means Kawhi Leonard & Danny Green are heading back to San Antonio. What kind of reception will each get? How will former Raptor, DeMar DeRozan, treat this game? We can't forget about Yak & Skillz! One game brings so much drama and excitement at a time where it's desperately needed. - Predictions for the upcoming week, and so much more! Fresh off the Christmas Holiday where the Toronto Raptors were snubbed a Christmas Day game yet again. the team celebrated their holiday in South, Florida where they would take on the Heat in Miami on Boxing Day. Going into Wednesday night’s match-up, the Raptors would have back the likes of Serge Ibaka and Danny Green - who missed the past two previous games before the Christmas break due to injuries. Although, Toronto would be without Kyle Lowry once again when it was reported that Lowry wouldn’t be in the lineup due to reaggrevating his lower back and wasn’t cleared to play. With Lowry out, this meant Toronto has now played two weeks of games – a seven game stretch – where they haven’t played a game with their regular starting lineup of Lowry, Green, Leonard, Siakam and Ibaka. All five of which have missed time over that span of games. Fred VanVleet started at the point guard position due to Lowry’s absence as the four other positions were filled by the aforementioned regulars. The Raptors got off to a horrible start in Miami, looking sloppy and discombobulated at times. It just wasn’t the 25-10 Raptors many knew and watched night in and out. There were also early signs of Heat center Hassan Whiteside who looked to be a problem all night without the presence of Jonas Valanciunas to match his size and strength at the 5. Miami went on to take the first quarter 31-23. Toronto had a little spark of offensive to start the 2nd quarter, going on a 10-3 run to only trail the Heat by 1 only four minutes into the quarter. After a great timeout called by Miami, Toronto’s offensive came to a halt and Miami went on a run again and ended up leading Toronto 58-44 at halftime. A very frustrating half for Toronto only meant better things were to come in the 2nd half with 24 minutes of basketball left to be played. The third quarter was all Toronto. After a physical play at the rim where Whiteside caught a knee to the hip, he was forced to leave the game for some time which deemed to be a huge difference maker in what mounted this Toronto comeback. At the 6:46 mark in the 3rd quarter, and Whiteside on the bench with Toronto down 13, they quickly turned the game around. Fred VanVleet put up 11 points in the quarter along with making three 3-pointers, helping Toronto put on a 25-10 run from the time Whiteside was subbed out at the 6:46 mark all the way to the end of the quarter. That massive run from Toronto all of sudden gave the Raptors’ team life. After a horrible first half, all it took was 12 minutes for Toronto to have a shot at a win. Leading the Heat by two to start the 4th quarter meant Toronto had all the momentum after that huge run. Although, it wasn’t long until Whiteside was subbed back in for Miami at the eight-minute mark in the final frame where the game was tied at 86. It stayed close until the very end. Yet, at the 2:27 mark, Miami extended their lead to six; a two-possession game. However, a clutch three-point shot from VanVleet and strong And-1 from Siakam saw that six-point Heat lead erased and both teams were deadlocked at 99. The Heat responded with their own clutch defensive possessions and shots until the very end. On the last Raptors’ possession where Toronto was down two with 30 seconds to go, Miami was doing everything right to protect their slim two-point lead. That is, until, they left Danny – Ranger – Green wide open in the corner as he nailed the go ahead three-point shot. As a result, Miami was now down two with 22 seconds to go with the final possession, and they were going for the win. As the ball was in the hands of veteran and future Hall of Famer, Dwayne Wade to try and win the game, his shot was just off. As was a Justice Winslow three-point shot after an offensive rebound and final tip-in effort from Wade was also missed. Just like that, Toronto escaped. Toronto found a way to battle back after their comeback in the 3rd quarter. It was a short-staffed roster for Head Coach Nick Nurse, who only played four players off the bench, - Delon Wright, Greg Monroe, Norman Powell and OG Anunoby. Those four combined for 26 points, while Leonard had 30, Green with 18 and VanVleet with 16. It’s also worth noting that CJ Miles did not see any action in that game due to his struggles all season long. He doesn’t have much time to find his mojo again, as it seems Powell has taken back his rightful role off the bench. With Toronto escaping Miami on a Boxing Day thriller, they now look forward to Friday night in Orlando as they take on the Magic. Last time Toronto was in Orlando, they won at the buzzer courtesy of Danny Green. The Raptors are STILL at the top of the NBA and the Eastern Conference with a record of 25-10. Although the team is a bit depleted due to injuries, they are certainly showing how resilient they are, letting the entire NBA that there is no quit in them despite the roster holes. Can this pace continue? - Kawhi going to LA. - Are the Raptors one piece away? - 3 point shooting woes. Will The Real Raptors Offense Please Stand Up? The Raptors are 23-9, which is good enough to earn them the right of having the best record in the NBA. But, do I really have the audacity to ask if Kawhi really fits in with this current Raptors team? Someone has to ask the tough questions, and to be honest, it’s the right question Raptors’ faithful should be asking themselves. Raptors fans are already full of self-doubt, why not fuel the fire a little more and take on this hot topic? As a fellow who has been following this team avidly since ‘95-’96, I’ve earned the right to tell you that you’re insane in the membrane for thinking that the Raptors would be better off without Kawhi in the lineup. Now I would be considered crazy if I told you that they have the perfect formula boiling on the NBA Bunsen burner, and I’m here to point out the missing ingredients. These Ingredients are going to help develop the Raptors from a science fair winning offense into the NBA’s offensive version of the Nobel Prize. Again, I’m going to reiterate that the Raptors are 23-9 with stellar offensive weapons in place already, but sometimes you can’t bring a knife to a gun fight. By “knife” I mean pure Iso-ball that relies on your superstar to carry you and also relies on refs to make tough calls when Leonard is taking it to the hoop. 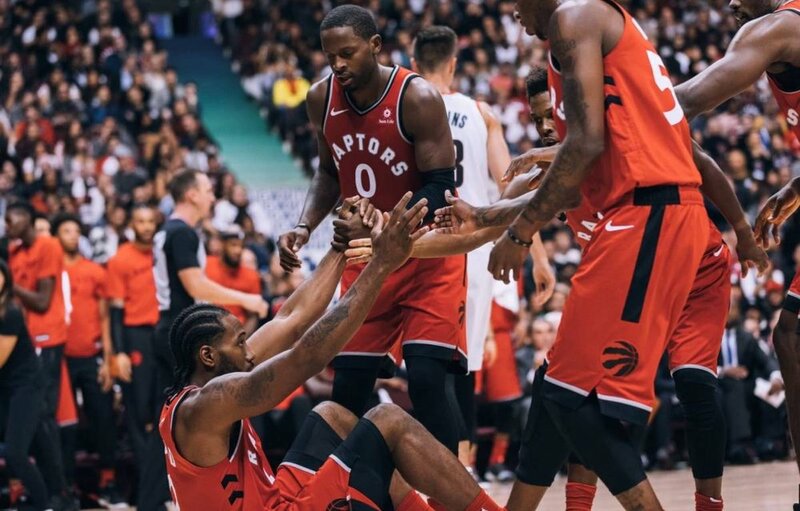 So far, Leonard has been able to carry us through ball games without the support of the refs’ whistle which isn’t ideal, but it says how tough-minded Leonard really is. Now, with that being said, he also hasn’t been efficient in late game situations. During these situations, he ends up coughing up the ball trying to take on 3 defenders or forces up tough contested shots which turn into easy transition buckets for the opposing team in crunch time. You won’t win a lot of ball games taking on 3 defenders, but in his defense, the other Raptors players haven’t been very efficient from deep, which is the ideal look in those close/late game situations when your superstar attracts double and triple teams. It’s no secret that the Raptors are struggling from the 3-point line, which is the reason they need to find a way to pound the ball inside consistently until they can fix their shooting woes. The Raptors have honestly done a great job at exposing teams with their pick-n-roll, whether it’s Lowry or Leonard handling the rock. But they haven’t utilized it enough as of late. Lowry runs the pick-n-roll great with Ibaka either rolling to the hoop for an easy bucket or hitting him for an open 16 foot jump shot. This is why the Raptors were able to expose the Warriors last Wednesday night because the defending champs had no response for Serge and Jonas’ size and versatility in and outside of the paint. Now, whenever the Raptors run the pick-n-roll with Leonard, he exposes teams with his midrange early on in the game. But in late game situations, they are throwing double teams at him in which he puts up a tough shot or turns the ball over. Leonard needs to recognize the double team earlier and find Serge or Pascal on the roll to the hoop. If they defend that pick-n-roll properly, Nick Nurse needs to find a way to properly identify the open shooter with a well-designed play. If that fails, the open offensive player needs to be able to identify himself to Leonard with a quick cut to the hoop before the double comes. Eventually, this will become second nature to the Raptors once they start executing this offensive prowess and ease the pressure off Leonard in those clutch situations. You can also argue that the Raptors have done a great job in most of the losses through 3 quarters, and their bench has coughed up comfortable leads quicker than Usain Bolts 100M time. You won’t win a lot of games in this league if your bench isn’t going to exceed or match the opposing teams energy from their second unit. The Raptors’ bench has been spotty all year and that might be the understatement of the year. Last year, they were able to take leads and run away with them, but we cannot live in the past and we can only focus on the present. Other than Jonas and VanVleet at times, the Raptors’ bench players have been really inconsistent. They end up taking tough contested lay-ups or late clock jump shots that result in zero movement during the 24 second possession. They need to do a better job of moving the ball and finding open guys in their spots. VanVleet needs to take the reins and run his sets consistently or push the pace during a transition possession. The Raptors have problems when they are stuck in their half-court offense. Nick Nurse has to simplify their offense for now and pound the ball inside with Serge or Monroe. By establishing the bigs inside, it’ll eventually open up looks for struggling shooters like Miles and OG. Also, Delon does a great job of getting into the paint, but his decision-making has been sub-par this season so far. He either takes a tough lay-up or ends up making an errand pass which probably resulted in him jumping before making the decision to pass or shoot. At the end of the day, if the Raptors’ second unit wants to establish themselves as the Bench Mob again, it’s going to have to start at the defensive end. As long as they can stop the opposing team’s run in those crucial moments, their offensive swagger will come back. There’s no easier bucket then a transition 3 or layup, and to execute those, they are going to have to punish teams on the glass. They have the athleticism and the talent to execute all of the above and it’s going to come down to whether or not they want it enough. “It’s a make or miss league” as Dwane Casey once said, and that’s always going to be the tale of the tape. Now, if the Raptors want to make it easier on themselves to win ball games, they are going to want to simplify their offense by taking better looks, executing their late game offense, hitting open 3 point shots, and have their bench hold onto leads and runaway with them if possible. If they can execute those easier then said tasks, they will continue to be a force to be reckoned with in the NBA during the regular season and in the playoffs as well. The Raptors opened up last week’s set of games on the road to start a 4-game Western road trip. 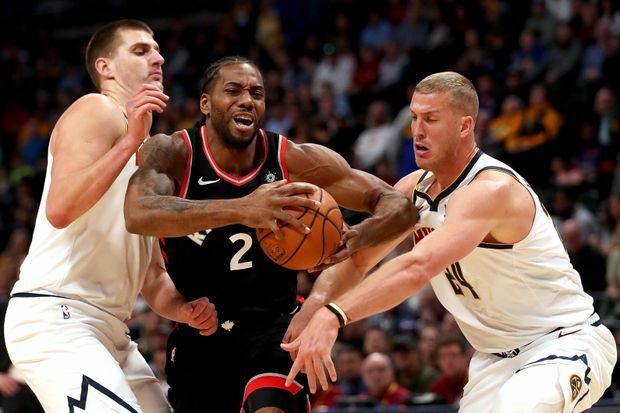 After a tough loss to one of the NBA’s weakest teams – the Brooklyn Nets – more than over a week ago, the Raptors looked to bounce back and hopefully sweep this four-game road trip vs the Los Angeles Clippers, Golden State Warriors, Portland Trail Blazers and the Denver Nuggets. It all started on Tuesday night with the Raptors in LA against the Clippers at the Staples Center. It was Toronto’s first meeting with the Clippers this season, and just an hour before tip-off it was confirmed that Toronto would be without All-Star Kawhi Leonard due to a hip injury. It was heard that this injury was minor and that he would be taking the night off to fully heal and to be 100 percent ready for the defending champions in the Golden State Warriors in just 24 hours time. With the absence of Leonard, this turned into a tricky game for the Raptors, going up against a tough Clippers team who have shocked many; sitting with a 17-9 record on the year so far. This forced head coach Nick Nurse to start Fred VanVleet and slide Kyle Lowry to the shooting guard position. It’s also worth noting that earlier in that day, it was reported that Nurse had lost his mother – Marcella Nurse – at the age of 94. Nurse was in attendance to coach the game that following night when many thought he should stay back home in Iowa with family after his loss. Nurse was asked before the game why he wasn’t at home and he simply said, “I’m here because my mother wouldn’t want it any other way.” The Raptors were all business that night, playing with toughness and courage for their head coach after such a tough family loss. They dominated the first quarter, putting up 36 points against the Clippers 23. After that, they never looked back. Walking out of LA with a 123-99 victory with big performances from Serge Ibaka and Kyle Lowry - combining for 46 points. In which many saw a great danger to this Raptors team against the Clippers without Leonard, it didn’t seem too bad, as Toronto took care of business getting a big win for them and their head coach. And so, it was off to Oakland, California. Coming fresh off their win over the Clippers, they now faced an even tougher task against the Warriors. To make things worse, they were once again without Kawhi Leonard. As this game was being televised on ESPN and nationally around North America, fans were treated to another “Finals preview.” Without Leonard, many thought the Raptors were in deep trouble, but that wasn’t the case. The Raptors, just like less than 24 hours prior, got out to a hot start, shocking the Warriors and holding Golden State to just 41 halftime points. The Raptors came out of halftime protecting their double-digit lead and never looked back. Playing every possession with great fundamental basketball and playing every defensive possession with high intensity, forcing the Warriors to take tough shots; Steph Curry and Klay Thompson especially. With all odds stacked against them, the Raptors ultimately took charge and walked away from Oakland with a professional 20-point victory over the Warriors; 113-93. Nearly 48 hours later, the Raptors landed in Portland to take on the Blazers for game 3 of 4 on this Western road trip. Going into that game, the Raptors were without Kyle Lowry who was suffering with minor back soreness and Jonas Valanciunas - who will be out for at least a month after suffering a dislocated left thumb by the hands – quiet literally – of Draymond Green. The Raptors did get some fire-power back from the likes of Kawhi Leonard, returning after a 2-game absence. But that wasn’t enough. Leonard and the Raptors looked sloppy early in the game, and were trailing the Blazers 58-50 at halftime. Without the likes of Lowry and his quickened pace and playmaking ability, the ball was in the hands of Leonard a lot late in the game with the Raptors attempting to take the lead, but the Blazers didn’t let that happen. They bent, but didn’t break and defeated the Raptors 128-122. Onto last night, game 4 of 4 on the Western road trip. With Toronto looking to close out this trip on a high note, they would once again have to do it without the likes of Lowry. News also broke out that the team would be without Pascal Siakam and Fred VanVleet. A total of five players were out of the lineup for Toronto, including Norman Powell and Valanciunas. Toronto wasn’t the only team dealing with injuries as the Denver Nuggets also had five players out, one big name being Paul Millsap. Ultimately last night’s game was a show of which team had better depth and who wanted it more. Toronto didn’t, at least in the 4th quarter. Toronto looked sluggish and went into a huge shooting slump, They had a slim 4-point lead heading into the 4th quarter, but then it all came crashing down. Denver opened the quarter on a 12-0 run, and they didn’t look back. Toronto missed key opportunities to get back into that game late but failed to cash in on great and open looks from beyond the three-point line. Toronto shot 7-of-35 from 3-pt range, collectively, and a total 35-of-88 (39.8%) from the field. It was a rough night for Raptor fans and the team. Head Coach Nick Nurse criticized NBA officials in his post-game comments on the fact that All-Star Kawhi Leonard isn’t getting the fouls calls he deserves. Nurse could expect a fine of $25,000 from the NBA. It was a tough road trip as the injured-prone Toronto Raptors can now get some rest until they return home on Wednesday to take on the Pacers and hopefully get some fire power back. Well that was quite the turnaround, wasn't it? The Toronto Raptors finished the week going 2 for 3, with victories over the Los Angeles Clippers and Golden State Warriors - WITHOUT KAWHI LEONARD! Kyle Lowry has bounced back just fine from his slump and the team - for lack of a better way to put it - is humming. They are still an Association best 23-8 with no signs of slowing down. Is there anything that will stand in this team's way? - The impact of the Golden State win(s). - Why would Kawhi want to leave? - JV's injury and the impact it'll have on the team. As game #29 was being played without the Raptors superstar, Kawhi Leonard, I thought to myself “How have the Raptors lost 7 games already”? This thought stuck around my head for most of the first half and I quickly pieced the answer together towards the end it. Most basketball fans and experts would blame Lowry’s scoring output during those games, or even the lack of 3 point shooting throughout the year. You wouldn’t be wrong if you mentioned those two facts, but I wouldn’t say those are the keys to our losses. In fact, it would be the Raptors’ rebounding that has hindered them during those 7 losses. If the Raptors want to the keys to drive the NBA finals bandwagon, it’s imperative that everyone on the team focuses on getting those 50/50 balls and boxes their man out. The Raptors have had an impressive start to the season, there’s no doubt that. They have the best record in the NBA. Now, if you still have your doubts at this point in the season, then that’s perfectly normal because every loss feels like the Sunday scaries and they’ll haunt you until it’s over. Every Raptors’ win feels like a Friday night due to the fact that you feel loose and ready to put on the dancing shoes and cut a rug. For the Raptors to minimize the Sunday scaries, they’re going to have to keep their rebounding in check. The Raptors have done a decent job, at best, during their wins and have done an atrocious job during their losses. It doesn’t even come down to them being out-boarded by 15 like they did vs the Pelicans, but it comes down to the timely rebounds that hurt you the most. For example, the Raptors during those losses kept themselves in those games for the most part by playing lights out defence. But what’s the point if you’re not going to finish the possession and give the opposing another opportunity? That has to hit a nerve with the Raptors’ coaching staff because you can fight as hard as possible on the offensive end to stay in a game, but if you’re not going to hit the boards on the defensive end, you might as well pack your things and head to Mexico for an early vacation. The Raptors have gotten away with their lack of rebounding vs .500 teams because the opposition just doesn’t have the talent to execute down the stretch. But when it comes to elite teams, the Raptors have to make a conscience effort to hit the boards with force. To be honest, the Raptors’ defence has been lights out all year during the opposing team’s first possession. But when they cannot grab the defensive board, it ended up opening up so many great looks for the opponent. If the Raptors could finish their defensive possessions, it’ll open up many more good looks for them on the offensive side of the court. They’re already one of the best transition teams in the NBA, and that’s scary considering how many defensive rebounds they leave on the table. Imagine seeing more of Pascal Siakam on the fast break, either finishing the play with a rim rocking dunk or a pass out to an open shooter like Danny “Money” Green! They did a great job as a team rebounding against the Clippers because they forced them to take tough shots like they have with every other team. By committing to finish their defensive possessions, they were able to attack the ball in the air and run the fast break. The Raptors were able to play with a lot more freedom, which translated in open 3 pointers and rim rattling dunks. The Raptors have more than enough offensive talent on their team to take them to a certain stage of the playoffs. But if they plan on taking the Eastern Conference and dethroning the reigning NBA champions, they have to commit to the rebounds. It’s also true that they will only go as far as Kyle Lowry takes them, but he’s a Pitbull and he will do whatever it takes to put the Raptors in a possession to win, and that includes going into the trees and rebounding the rock. To dethrone someone who has dominated the NBA kingdom takes more than talent, it takes grit and nonstop effort. If the Raptors are serious about making a serious title run, you’ll see a lot more Raptor players fighting for rebounds and loose balls, because that’s what it takes to be the best. It’s the little things that define your true character and we will see what the Raptors are made of. Although things have been rough for the Raptors lately, there are still some things that we can look upon with a positive light. Despite dropping 3 of their last 4 games, they are still at the top of the NBA with the best record, still 2.5 games ahead of the Bucks (who have proved to be their biggest obstacle), and still gathering production from Kawhi Leonard. Can we count on the team to bounce back? Or are we in for more unfortunate outcomes? - Kyle Lowry’s struggles and if he can break out of it. - The team leaning on Kawhi and if this may dissuade him from staying. - The trouble with closing out games. - Have we overestimated this squad and their potential? Over the past 4 games, Kyle Lowry has struggled shooting the ball, and uncoincidentally, the Raptors have struggled over that stretch. Lowry had been playing some of the best basketball of his career up until recently, and considering how much he means to this team, his recent production is concerning. Lowry sat out the game last Saturday in Cleveland with a back injury. Most people assumed it was as a precaution, because the Cavs aren’t very good, but maybe it was something more than that. In the game prior to him sitting out, as well as the three games following it, Lowry has had some ugly shooting nights. He still leads the NBA in assists per game, with 10.1 per game, but his scoring ability hasn’t been the same since the game in Memphis on November 27th. Since that win in Memphis, Lowry has put up the following stat-lines: 10 points on 4/14 shooting, 5 points on 1/7 shooting, 7 points on 2/8 shooting, and 3 points on 1/8 shooting. There have also been moments where Lowry has looked passive to shoot the ball because of a cold night from the field. For example, during the last play of the game on Friday night against the Nets, Lowry could’ve shot the ball, but instead he passed it to Fred VanVleet who ended up missing the potential game-winner. The Raptors usually rest Kawhi Leonard for one of the games in a back-to-back, and they keep saying that he’s getting close to playing in both games. So maybe when that happens, they should rest Lowry in one of the two games. Lowry is 32 years old, so he could probably use a rest day anyway. Especially when you look at his recent struggles, I would definitely give Lowry a few games off in order to rest and regroup. The Raptors are pretty deep at point guard with Delon Wright and Fred VanVleet both available to start if Lowry were to sit. Lowry’s obviously better than both of them, but I’d be fine with giving one of those guys a start or two if it means Lowry gets more rest over the course of a long season. Looking at the upcoming schedule for the Raptors, it’s going to be a very tough stretch. They play Milwaukee at home tonight before heading out West to play teams like the Clippers, Warriors, Nuggets, and Trail Blazers. Those will be tough games to win regardless, but they’ll be even harder to win if Kyle Lowry continues to score in the single digits. We know Kawhi will show up to those games, but he’s going to need some help if the Raptors are going to have a successful week coming up. I think Kyle Lowry will eventually get back to his early season form. I hope it’s just a cold shooting stretch and not a serious injury so that he’ll eventually just get hot and get his confidence back. Like I said earlier, he’s still sharing the ball enough to be an effective point guard, but now he’s got to start scoring himself and hitting the shots that we all know he can consistently make. The Raptors’ slow struggles continue in Friday night’s loss to the Brooklyn Nets in their attempts to win their second game in a row. After a tough loss to the Denver Nuggets earlier in the week, Toronto was looking to bounce back and keep the winning momentum going forward after a statement win on Wednesday against Philadelphia. But that wasn’t the case. The Raptors continue to have slow starts out of the gate in the first quarter of games and having trouble shooting the three ball. Friday was a case of both of those issues. A slow start to the game against Brooklyn saw the Nets extend their lead to 14 in the second quarter. After that, Toronto slowly clawed their way back into the game, ultimately tying it up at halftime and keeping it that way until the very end. It came down to a nail-biting finish, but the Nets came out on top to defeat the NBA leading Toronto Raptors in overtime. It was a game where Kawhi Leonard shined once again and had to put the Raptors on his back late in the 4th quarter and in overtime. Although Jonas Valanciunas put up 24 points and eight rebound in his 26 minutes of playing time, he managed to find his way on the bench for the whole 4th quarter. This meant Leonard had to take over, which he did. Leonard put up 32 points on 10-of-21 shooting in 38 minutes including game tying and go ahead buckets, along with an emphatic eye-opening dunk that surprised many. Despite their efforts, Toronto couldn’t get the job done. Although the Raptors maintain the best record in the NBA still to date, their schedule doesn’t get any easier. After taking tough defeats to the Nuggets, and now the Nets this week, Toronto could be handed their 3rd loss of the week in four games and could be handed more later in the week and coming days. It starts on today as the Raptors travel back to Toronto to take on the Milwaukee Bucks at home; the team who handed Toronto their first loss of the season when both teams were undefeated. It gets worse from there. Toronto then heads out on the road for a grueling four game road trip against the Los Angeles Clippers, and then the Golden State Warriors the day after on a back-to-back. Back-to-backs only mean one thing: Rest. Raptors fans are now used to seeing Kawhi Leonard’s name not shown in the lineup on a second night of back-to-backs, but maybe we don’t have to worry about that much longer. After a strong week’s performance from Leonard where he has averaged 32 points in four games, I would say he is close or possibly even feeling at 100 percent again. After the match-up with the Clippers, the Raptors once again face-off with the defending NBA Champions, The Golden State Warriors. Their previous meeting against the Warriors saw Golden State without Stephen Curry and Draymond Green. Well, they’re back, and you bet they’ll be in the lineup looking for revenge when these two teams meet again in less than a week. Only time will tell if Leonard is fit as he once was to take on back-to-back games again. But the road trip doesn’t end there. After those two grueling games with the Clippers and Warriors, the Raptors face-off against the Portland Trailblazers and the Denver Nuggets once again. After this stretch of games are complete, the Raptors will have only 16 games out of their remaining 55 regular season games against Western Conference opponents, including two match-ups with former Raptor, DeMar DeRozan. Being the top team in the NBA isn’t easy. Every night you go out onto that court with a target on your back, knowing that every game won’t be easy, that you have to dig in and get the job done. It’s obvious the Raptors have been struggling, that is no secret. But for Nick Nurse and his team, they all need to better than what they have shown over this past week. These few losses Toronto has been handed to recently can go from bad to worse in just a week’s time. Things need to turn around, and quick. This was quite the eventful weekend for the Raptors. It started with a very intense game at TD Garden against the Boston Celtics, and also featured a game in Chicago Saturday night where the Raptors had a very depleted team. In this article, I’ll break down what happened, and also provide some takeaways from the games. Way back in the second game of the season, the Raptors beat the Celtics on home court in what was a statement win. The Celtics got their shot at revenge Friday, but it was on their home court this time. The game was pretty back-and-forth through regulation, with Kawhi Leonard and Kyrie Irving carrying their respective teams. Regulation ended with Kawhi missing a shot that would’ve won the game for the Raptors. Then, in overtime, the Celtics pulled away with their entire team pretty much not missing. This was a very frustrating loss because the Raptors had the win right there in front of them. But looking back now, I see less cause for concern. First of all, OG Anunoby missed the entire second half after he was injured while going up for a layup. That came after the Raptors were already missing Norman Powell and C.J. Miles. Also, with a few minutes left in the game, Danny Green fouled out. Both his 5th and 6th fouls came on pretty soft calls, and they ended up affecting the Raptors in a very negative way. Not only is Green their best 3-point shooter, but he’s also one of the best defenders on the team, and he could’ve guarded Kyrie or Hayward late in the game. Green’s absence was definitely felt, but then things got even worse for the Raptors when Pascal Siakam also fouled out late into overtime. Now, I don’t like blaming games on officials, but what happened there was a bit sketchy and it pretty much gave the Raptors no chance to succeed late in overtime. This was still a heartbreaking loss, but when you take into account that by the end of the game the Raptors were missing OG, Powell, Miles, Green, and Siakam, it’s easy to see how this one got away. On a positive note though, Kawhi was incredible in this game. I know he missed the potential game-winner, but he also put up 31 points and grabbed 15 rebounds, while also getting 3 steals. The narrative that he’s not clutch shouldn’t even be brought up, because he hit numerous clutch shots down the stretch that kept the Raptors ahead. As for Saturday night, the Raptors had to play a Bulls team that isn’t very good. But with Kawhi, OG, Miles and Powell all out, the Raps had very little wing depth in this one. Despite that, they came out and dominated the Bulls, beating them 122-83. Fred VanVleet bounced back with 18 points in this one after getting shutout in Boston, and Danny Green went a perfect 7/7 from the field, including 3 3-pointers. Looking ahead, the Raptors have another back-to-back this week, against the Magic and Hawks. I assume Kawhi will rest in one of these games, but despite that I think the Raptors should easily win both of those games before coming home to play the Wizards on Friday night. The Raptors were on the receiving end of 3 consecutive losses at the hands of the Pelicans, the Pistons, and the Celtics. All three wins were devastating in their own right, as the team's failure to close out games - specifically close ones - has become more prevalent and is now a glaring issue that needs correcting. Can the Raptors rebound from such a blow? Did we set our expectations too high? We got you. Joining host Adam Corsair is first time guest Mike Bossetti of Raptors Rapture & the Raptors Rapture Podcast. 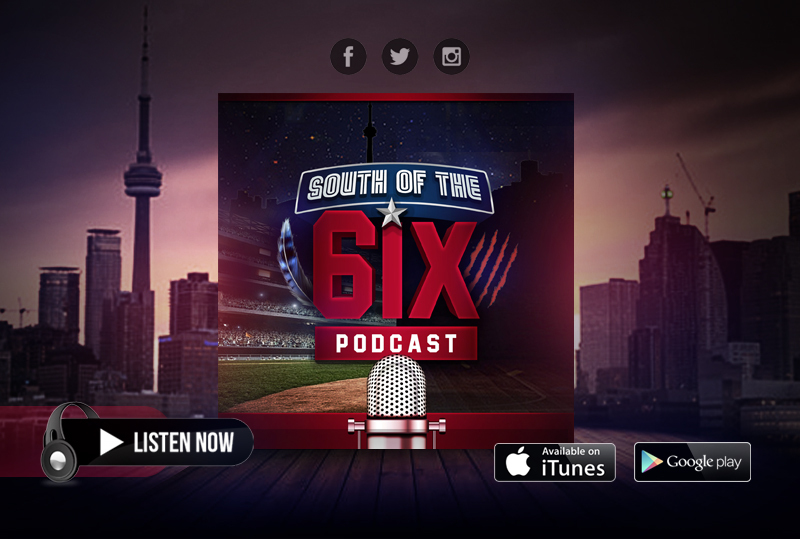 Mike & Adam talk about the week that was and examine issues surrounding the team, such as the lack of production from the bench, Fred VanVleet's struggles, Nurse's coaching decisions, and much more. Plus, we offer our Too Sweet Moment of the Week and our predictions for the upcoming games. Hey Raptors fans! These are my takeaways from what I liked, kind of liked, and didn’t like from the Raptors within the past 5 game stretch against the Lakers, Jazz, Kings, Knicks and the Pelicans (Nov 4th-Nov 12th). King of Spice – The spice master was back at it again this past week with some lights out performances. The Raptors were able to go 4-1 during this stretch and Siakam averaged 20ppg, 4.3rbds, and he shot a whopping 72.4% from the field, which is huge for a guy who knew he could put up these stats consistently. He has quickly proven to every other critic that his stats and effort are here to stay. He’s been able to run the offence as a 4 and he’s also been able to take the ball up on a fast break and make a play for himself or for another player. Overall, he’s been real solid on the court and he’s leaving defenders with a mouthful of spicy dust particles each and every time he runs the fast break or hits them with a spin move. Ma Fuzzy - Serge Ibaka had a monster week. Not only did he shred the Lakers’ defence by shooting 18-20 from the field, but he also put the notion of Javale Mcgee being an elite defender to bed. Ibaka scored a career high 34 points Sunday night and he was not done yet. He managed to put up another stellar performance against the Jazz on the second night of a back-to-back, which is hard for anyone to do. The next 3 games, he was able to stay consistent with his rebounding and ppg, which is the only thing you ask of the chef. As long as he keeps cooking up these performances, he can keep feeding his teammates suspect dishes, because it seems to be working. Now, if Serge goes on one of his signature slumps, then his gitch is going to get stuck on the fence real quick! The Holstered Sniper, CJ Miles - I know what you’re thinking - “Man CJ’s gitch has been stuck on the fence all year! Pick a side already!” If this is your thought process, you’re not wrong, but I won’t give up on the shooter from Texas. Miles has had a terrible year offensively and if you think otherwise then you’re as blind as a bat. He hasn’t been able to catch some offensive rhythm all year which is making him look like James Wright on the dance floor. Most of you don’t know who James is, but I can guarantee you his dancing is noteworthy and not in a good way. Like CJ, he does try though. There’s one major difference between CJ and James - CJ is a proven shooter and he’s bound to break out of this slump. Now, James on the other hand, he’s stuck with two left feet but he will always have his salsa dancing partner Rudy Albizurez to guide him to the salsa promise land. CJ is going to break out of this slump, which I can guarantee that - if his latest injury isn’t to serious. Just wait until the mid-season when he’s shooting 47% from 3, it will be magical and timely. For now, Miles will remain on the fence, but looks for him to swing onto the good side in the near future. Not So Steddy Freddy – Let’s get one thing straight - I love what Vanvleet brings to the Raptors night in and night out. But during this stretch of games, his performances were a little shaky. We usually see Fred take charge of the bench unit by running the sets to perfection and making timely buckets when he finds a match-up he likes. But this past stretch was different. The Raptors’ bench struggled to find rhythm and a lot of it had to do with Fred struggling on the floor. Usually, he’s blowing by defenders like the Tasmanian Devil and finishing layups, finding an open shooter on the wing or a cutter, but these past 4 games he wasn’t doing that. He was either putting up a tough layup or turning the ball over, trying to make an amazing play instead of the smart play. He’s on the fence because we all know he is better and he will turn things around quickly. Don’t expect him to be on the fence for much longer. The Deep Ball – The Raptors have been struggling with the 3 ball since the 2nd week of the season and this certain stretch was no different. They are getting good looks but aren’t able to knock down the open 3 balls for some strange reason. They have a bunch of capable shooters, but for some reason they just aren’t falling right now. Most of the shots are great looks but then you have CJ Miles who’s already 0/2 from 3, chucking up a deep ball just to find some rhythm. Those are the shots you want to limit especially if your team can’t find a way to sink them at the moment. Eventually, the 3 pointers should go down because unlike last year, they have the proper militia out there to do work. For now, they are going to stay on the ugly side until they can prove that they’re the long distance shooting team they are capable of being. Usually long distance relationships don’t work, but in the NBA they are a must. The Suits - The fans at the Scotiabank have been awful as of late and Monday’s game proved that to a tee. The arena might be sold out but it doesn’t matter if you don’t have the right fans in the stands. The enthusiasm from the crowd has been lack-luster and you can blame that on the people who just sit down and text away instead of paying and cheering for the Raptors. These people are there just for show and that’s absolutely pathetic. The ACC was one of the best arenas in the NBA at one point, but if this trend carries on, it’ll be like playing in Library for opposing teams. These are strictly my opinions and if you have any comments or inquires then hit the comment button or mention me on twitter (@rodzyalbizurez)!